I came up with the idea for “Speakeasy” while strolling in Prospect Park with Ed six or seven years ago. But I had the ideas that would lead to the idea for Speakeasy many years, even decades before that moment. By which I mean before I had that incisive moment in the park that crystallized what Speakeasy would be, I had a whole bunch of primordial ideas: melodies that begged for an outlet, a staging concept that needed a story, and a strong passion to create a powerful Queer musical. Like most songwriters I have an archive of unfinished songs, from melody snippets to nearly complete songs, sometimes with some lyrics attached, maybe just a title phrase, but usually without any words. I call them “Orphan Songs” or “Orphan Melodies”, musical ideas that are still looking for “placement” in a musical or project, still needing an outlet to be shared. Some of these Orphan Melodies get written down and archived and then forgotten until I look them up again. Some “haunt” me by sticking in my memory, a tune I will hum to myself again and again, feeling its emotional content even if I didn’t yet know its actual lyrical content. Those songs especially nag at me, tugging at a subconscious sleeve, looking to be fully composed and performed somehow. Once they are “placed” in a show and are performed, they tend to stop tugging at that subconscious sleeve, no longer “haunting” me. I noticed years ago that a lot of my orphan melodies felt like songs written in the 1920’s or 1930’s. 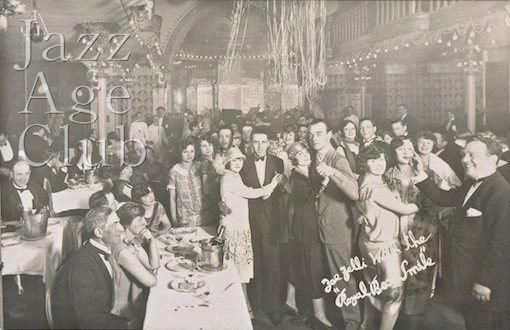 And with that realization I started imagining a musical set in a nightclub, or rather that the nightclub was the staging area for a story set in the 1920’s and/or 1930’s: not necessarily every scene took place in a nightclub, but the nightclub “presented” every scene. That was all fine and well, but I still had no idea what the actual story might be for this possible musical using all those 1920’s /1930’s song ideas. So I was thinking about these primordial ideas for a musical, ideas which were still not quite meeting up properly to allow me to start “putting it together”, to quote the Master. I had a trunk of song ideas that belonged to a specific era, I had a setting that was also a rich staging concept, and I had a theme – Gay life in the 1920’s / 1930’s, and I knew I wanted it to be magical realist, fantastical. But what was my story? Or what would be the story idea that could get me started? I kept thinking of The Wizard of Oz and a 1920’s Dorothy making her way through New York Queer subculture, and that may have worked well, but it didn’t feel quite right to me. That is what I was discussing with my husband Ed while we were taking a walk in Prospect Park six or seven years ago. When suddenly I remembered Lewis Carroll and the Alice books. 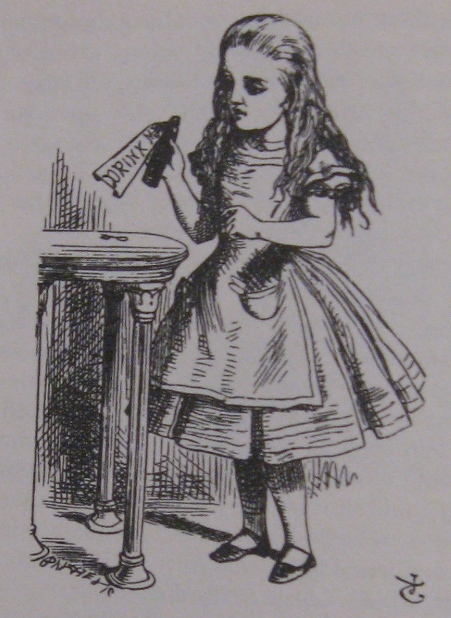 It occurred to me that with Alice we not only had Alice in Wonderland but also Alice Through the Looking Glass. And these two books could be the template not just for one Roaring Twenties Alice, but two. A married couple: John and Jane Allison. Young newlyweds who both explore their sexuality through the course of two simultaneous and intertwining magical adventures. And her story would be inspired by Alice in Wonderland, and his story by Alice Through the Looking Glass. Now finally I had the incisive idea that would allow me to start seriously writing my 1920/30’s Gay magical realist musical. What followed however would be at least one year of doing research into the history of Gay life in the USA and New York from the 19th century through the 1930’s, while simultaneously reading and breaking down and thinking about the Alice books and playing and reimagining all those 1920/30’s orphan melodies of mine. It would be at least a year of research and thought before the structure of Speakeasy would be clear enough to actually start writing in earnest. This entry was posted in Beginnings, Cinema Scope, LGBTQ Alphabet Soup, The Speakeasy Chronicles and tagged 1920s, 1930s, Academy Awards, Alice in Wonderland, Brokeback Mountain, Gay, Jazz Age, LGBT, magical realism, musical, Nightclub, Speakeasy. Bookmark the permalink. I will happily read your blog as this new piece approaches production. Speaking of WWII Gay life musicals, I’m sure you must have seen YANK at the York. While it hasn’t reached B’way (yet! ), you’ll be happy to hear that it does have a life in the provinces. There will shortly be a production in Richmond, VA where my long-distance honey happens to live. I’m encouraging him to see it! Unfortunately I have not yet seen “Yank”. Wanted to though. You missed something excellent. They made an original cast recording. You must buy/download it! These young brothers managed to internalize and so accurately pay homage to the musical sounds of the ’40’s – brilliant. I’ll check it out. True coincidence: one of those brothers was a rehearsal pianist on one of my shows back in 1992.